Labelling a dog as dominant is a shortcut down the wrong path. 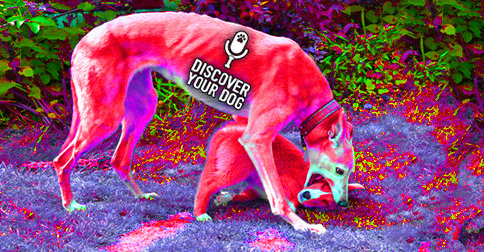 Today, discover why you are probably wrong to assume that your dog is truly dominant. In this episode, you will learn how to determine if your dog is actually dominant or merely confident. Bennie feels that less than 3% of dogs are truly dominant. Bennie and Devin believe that the label of “dominant dog” is thrown around way too often, and owners build training programs around their “dominant dog” which makes for sub-par training. A truly dominant dog does not make for a good pet. They do not even make for a good security or protection dog either, although many people will use dominant dogs for this. It takes the right owner to control a dominant dog. Bennie worked with a Rottweiler named Rocky who was dominant. Bennie could control him because of his personality however, Rocky would challenge every employee that ever came into his facility. There is a difference between being a pack leader and being dominant. A dominant dog is going to test the boundaries and wants to take the leadership role whether you do or not. There is no time when this dog will accept its role beneath you. In order to get a dominant dog to accept a role beneath you, you would have to break this dog. A true dominant leads, rather than takes the lead. Others are expected to follow. Check out the homework in Ep 041 Who’s Really in Charge Here. Instead of worrying about whether or not your dog is dominant, look for signs of self-confidence. The hierarchy here is significant because this is a dog that wants to lead a pack no matter what. This is also a dog that shows a significant amount of self-confidence. This makes for a dog that may do very well in a pack or family of other dogs, yet not so well with humans because we do not think of the hierarchy in the same way they do. We believe there are equals and a dog does not. In your dog’s mind you are either above or below her. In Bennie’s research—even with some of the most well-known trainers today—he has found nothing that discussed what a truly dominant dog is, how to deal with them, or even that one existed. Bennie had one client that felt they had a truly dominant dog, took their dog to the vet and the dog was diagnosed with “Rage Syndrome” or Sudden Onset Aggression. This is a rare issue with dogs and mainly found in just one breed. This is considered a neurological disorder and when a dog goes into attack mode there are signs prior to the aggression. The dog typically can and will be immediately friendly with the dog or person they attacked. This disorder is thought to be a form of epilepsy and related to the dog’s brain. There is no treatment that has been found to be 100% effective and in most cases euthanasia is the only solution. Per Bennie’s research, only a small percentage of breeds have been diagnosed with this disorder and they range from very small to large breeds. Bennie believes that there is a true dominant personality of dogs. For a dominant dog, there rarely is a sign but believes that a dog will take advantage of a situation when presented; for example if they have no collar or leash and are able to challenge their owner. Takes a very strong and dominating person that is willing to “break” the dog to realize its place. Devin creates a picture of a dog each week. Go through each picture from the episodes Bennie has posted in the show notes and describe the body language you think each dog is showing. Once you have written down the description, you can check your comparison with Bennie’s answers on the website. You will have to sign up for a free membership to check your answers for episode 95. You will get to see if you can recognize the characteristics of a dog through a photo and how you compare to a Professional Dog Behaviorists / Trainer Bennie Copeland! Ep 020 What is My Dog THINKING?? Ep 040 The Dog Training Sweet Spot: Too Little? Too Much? Ep 041 Who’s Really in Charge Here? Me or the Dog? 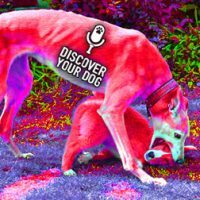 Ep 051 Catch Your Dog Red-Handed…Or Forget It!